About 15 years ago I moved to Oakleigh and although I’d probably used the “Station trail” bike path – now the “Djerring trail” – before then, that was when I started it using it at least weekly, sometimes daily. The path is pretty poor, it runs between train stations but vanishes at each one. Too hard to work out a through-route for cyclists so in fairly typical Melbourne bike facilities fashion it just vanishes, leaves you to – “Cyclists dismount” – walk through connecting footpaths and pedestrian underpasses, then ride through car parks, then rejoin the next section of shared path – all additionally dangerous if you’ve got small children with you. 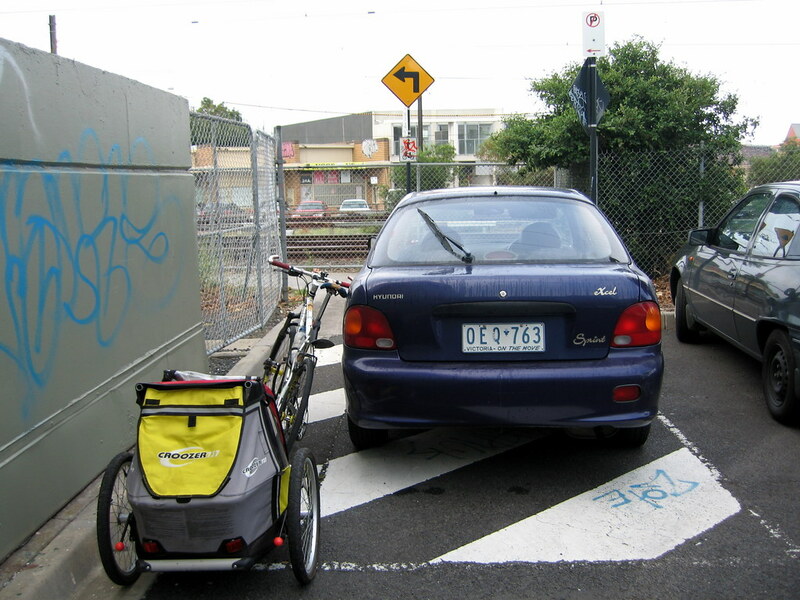 For fifteen years or more people have illegally parked at the end of the Oakleigh station car park. 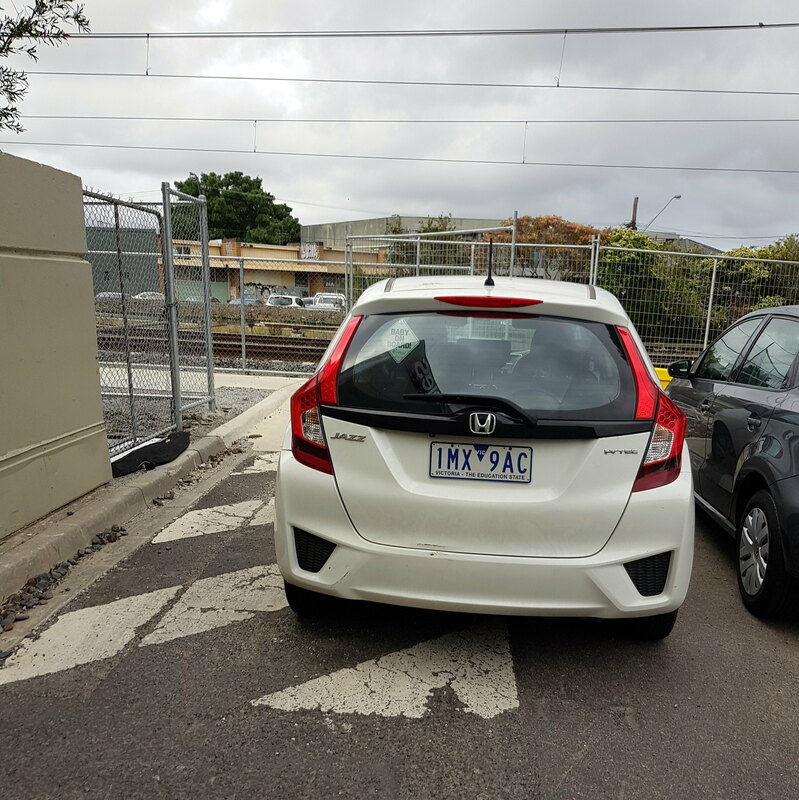 For five or more years I’ve periodically complained to Monash council or the railways, and, for five or more years absolutely nothing has happened – the council says that the car park is on railway land so they can’t do anything and that I need to talk to Metro trains, or Connex, or PTV, those three railway groups say that they’re not allowed under Victorian law to enforce parking restrictions. Typical asymmetric warfare; bureaucracy vs individual, with the expected outcome. Nothing happens. 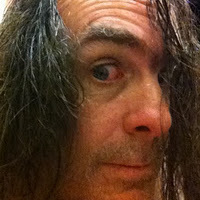 Well today I poked fun at them in public, on twitter. Half a dozen other people pointed out that yes, it is a problem and has been for years. Surprise, all of sudden the council announces that they’re working with PTV and will be installing bollards to prevent illegal parking. Official channels be damned, some days mocking them in public seems to be the only way to make things happen. 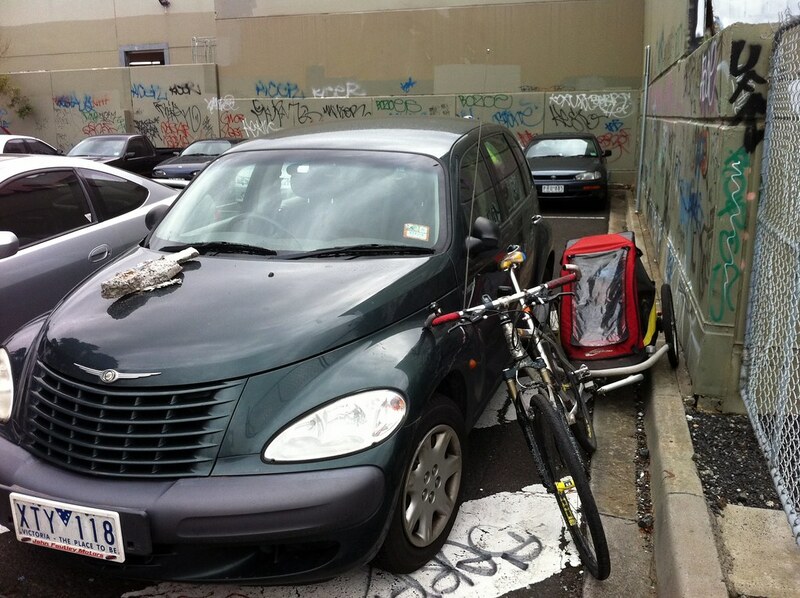 The stupid thing is, the bike path should never be routed through the car park in the first place – to rub salt in it, this is part of the big lie, where they claim that riding through a car park is part of what is advertised as the “Continuous off-road path from Caulfield to Dandenong” – but since the path forces you through the car park, the least they can do is make it possible for someone a bike to get on and off their bike disjointed bits of bike-path. Admittedly, I’ll celebrate for real when they actually do something, when the bollard is put in place, not just when they say they’ll do something. [2018-12-11 Tue] No bollard yet, and once again there’s a car parked blocking the path. Not just any car, the same one as last time! [2018-12-17 Mon] No bollard yet, but yet another car. Another report to the council and this time I’m told that “the car park is private property and council have no access”. [2019-03-01 Fri] three months, no bollard, no action. We can probably assume that all the response in November was the usual placatory waffle and that they had no intention of making the bike path safe or usable. [2019-03-27 Wed] There we go, a few days shy of four months. 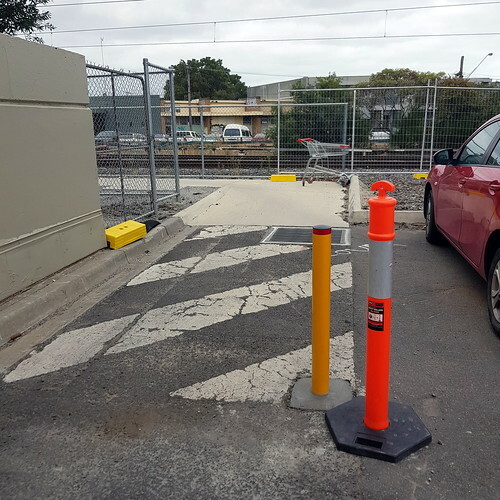 A bollard has been placed to stop illegal parking – a single piece of yellow pipe and a few shovels of concrete. That wasn’t so hard, was it.